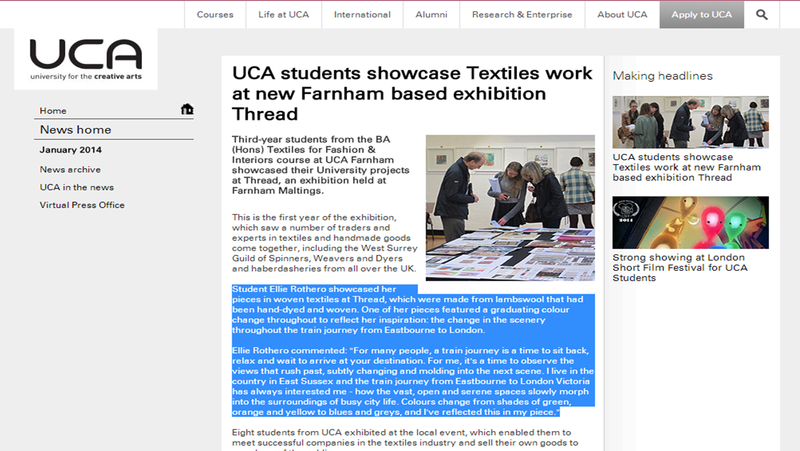 Back in October I was selected to be part of the THREAD exhibition at the Farnham Maltings along with 7 of my coursemates. The pieces I exhibited were from my 2nd year and they were inspired by the train journey from Eastbourne to London. Recently the University wrote about the exhibition on their website where I was featured.